These ornaments were originally published in my e-book Background Magic. They are still available in my e-book but you can now purchase them as their own stand-alone pattern. Mr. and Mrs. Elf and Mr. and Mrs. Claus are jumping for joy over the holiday season. These would make adorable ornaments to add to packages or paint for friends and family. The wood pieces for these characters are also available on my website. The ornaments are approximately 5" X 4". 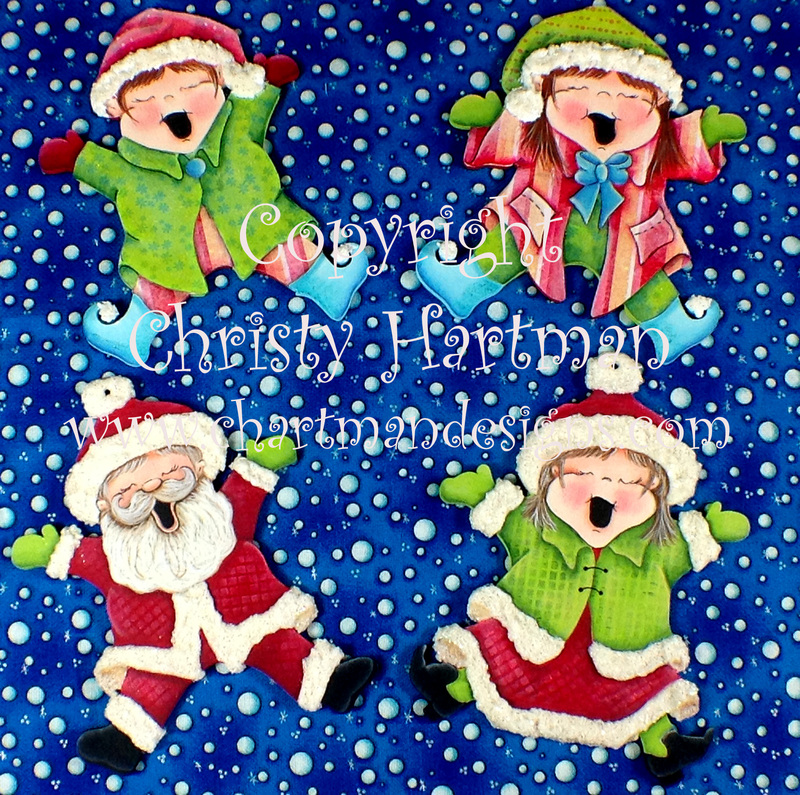 Mr. and Mrs. Claus are painted while Mr. and Mrs. Elf are decorated using patterned papers and then the detail is completed with paint. Not fond of using patterned papers, no worries I have included in the pattern the instructions for painting Mr. and Mrs. Elf as an alternative. There are 5 photos included with this pattern.